PETRONAS (Petroliam Nasional Berhad) is a wholly Malaysian Government-owned oil and gas company, which was founded on 17th August 1974. The company is headquartered in PETRONAS Twin Towers in Kuala Lumpur, Malaysia and it oversees the entire oil and gas resources in Malaysia. It has featured in several national and international rankings and recently PETRONAS was ranked as one of the largest corporations in the world in Fortune Global 500 as of 2017. The company is engaged in several petroleum activities like marketing and distribution of petroleum products, exploration and production of oil and gas, refining of petroleum crude oil and purifying raw natural gas, operating gas transmission pipeline network, automotive engineering, and others. Half of the Malaysian Government budget depends on the Petronas's dividend and hence it is a substantial source of income for the government. Petronas biggest “Vision Mission” is to become a leading oil and gas multinational of choice. Its core business comprises of oil and gas. The business case analysis of PETRONAS in 2018 predicts a steep rise in the crude oil price, due to significant rise in the air passengers. This will create a major opportunity for Petronas. Its main USP lies in being Asia’s largest Oil and Gas Company which also participates in Motosports Formula 1. The growing demand for energy, inspires and strengthens their business and marketing strategy to steadily drive for new technologies and push boundaries towards a sustainable energy future. Petronas is wholly owned by the Government of Malaysia. As at 30th April 2018, the shareholding structure of the company is – Petroleum Nasional Bhd (69.86%), Amanahraya Trustees Berhad (8.71%), Foreign Shareholding (9.66%) and Floating Shares (11.77%). The SWOT analysis report of PETRONAS is a framework which helps in analyzing the strengths, weaknesses, opportunities and threats of the company. 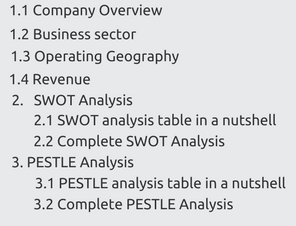 The Swot / Tows analysis for this oil and gas company in Malaysia provides detailed and precise information related to the internal and external analysis of the company. Petronas Subsidiaries are widely spread across the globe and comprises of wholly- owned 89 subsidiaries and partly- owned 38 subsidiaries, which has given it tremendous scope to expand in the international markets. The scalable business model and its business strategy illustrates how Petronas is strongly placed amongst the top 3 exporters of the LNG Market. The acquisition of stakes in the LNG import terminal of Indian Oil Corporation is of significant value to PETRONAS and adds to its existing strength. The Petronas Competitive analysis report portrays the rise of US as an energy exporter and its dominance in the oil and gas market which poses a major threat to the company. The Internal factor evaluation provided in the Petgas Swot analysis report displays holistic information related to Petronas organizational structure and its strategic management. Investment in cutting-edge technologies to enhance its business in oil and gas value chain through its research proves a major opportunity for the Petgas Company. The company is all set to enter in collaboration through its UK subsidiary Petgas Trading Limited with Gazprom Marketing & Trading Limited which will put the conglomerate on a high growth trajectory. 1. One of the strongest brand names to be present in several renowned International Auto Racing events: PETRONAS has been one of the main sponsors in several high-class global Auto Racing events. PETRONAS sponsored BMW Sauber Formula One team along with many other important sponsors like Intel, and it was a supplier of fuel and lubricants to the team. It later moved from BMW Sauber to the Mercedes Grand Prix Team. PETRONAS was also one of the sponsors of the Malaysian Club Prix races and in recent times, was a major sponsor of PETRONAS TOYOTA TEAM TOM’S which participated in SUPER GT Series. In 2010, the company was the major sponsor of Mercedes Grand Prix team which won the F1 Constructors’ Championship, 4th time in a row in 2017 Formula One Season. The company also boasts three consecutive wins in Formula One’s World Constructors’ Championship due to its brand-new range of customized lubricants and fuels. It developed Syntium engine oil, Primax fuels and Tutela energy recovery system cooling fluid in 2010, 2011, 2015 respectively, as part of its PETRONASFluid Technology Solutions. All these sponsorship activities have made PETRONAS one of the globally renowned brand names. 2. Operations in diversified breadth across supply chain: PETRONAS operates in oil and gas exploration and production to refining oil, a processing gas, and its liquefaction, operating gas transmission pipeline network and many more. It also engages in manufacturing, marketing, shipping and investment in petrochemicals. The company operates in 43 countries in the world through its five business divisions which are petrochemicals, oil business, gas business, logistics and maritime, and exploration and production. The diversified operations across various geographic locations have helped it minimize risk in any particular country. 3. Strong foothold in LNG market and its investment initiatives: PETRONAS is strongly placed among top 3 exporters of LNG market, which has been one of the fastest growing markets. Leveraging on its strength, the company has bought stakes in Cairn India and Rosneft of Russia. Recently, the company is looking to invest in a gas pipeline to market Canadian gas assets from Western Canada to rest of Canada and North America. PETRONAS is also planning to buy a stake in LNG import terminal of Indian Oil Corporation which has an output of 5 million tonnes every year, to sell its global portfolio of LNG there. All these investment initiatives by the company add to its existing strength. 4. New research initiatives in developing advanced capabilities: PETRONAS invests in cutting-edge technologies to enhance its business in oil and gas value chain through its research. The company made advances in exploration technology, enhanced oil recovery (EOR), wells and facilities technology, sustainability gas, advanced materials, base oil lubricants and fuel, and Petrochemical Derivatives and Specialty Chemicals. It developed internally developed exploration tools for complex geography and fiber optics DAS Technology which optimized their Capital Expenditure. The company’s UK subsidiary Petgas Trading Limited has also planned collaborative ventures with Gazprom Marketing & Trading Limited. PETRONAS is also planning to buy stakes in Cairn India, Rosneft and LNG import terminal of IOC. 1. Problems in Myanmar operations due to Rohingya Crisis: PETRONAS was asked to exit operations in Myanmar following the Rohingya crisis in the country. Islam is the official religion in Malaysia and the company is a major employer there. The Rohingya Muslims there had to flee to Rakhine state as security forces responded to Rohingya militants’ attacks by burning their villages. As Malaysia has been one of the strongest critics of this incident and Malaysian MPs have signed a petition to stop operations in Myanmar. This might affect the company badly as PETRONAS owns several natural gas blocks and a cross-border pipeline transporting gas to Thailand in Myanmar. 2. PETRONAS is given full authority over its major activities: PETRONAS has the full trust of Malaysian Government and is authorized to independently conduct business. The Government chose to create the company as a state company like PETRONAS would have both supervisory powers over production activities, capital and expertise of its own. 1. A super group of OPEC and non-OPEC countries in the making: The OPEC countries led by Saudi and non-OPEC countries led by Russia are planning to form a super group to cut a deal for long-term cooperation. Such a partnership will keep the energy markets stable as according to IEA, the growth of US shale sector will possibly overtake them next year. Such partnership can also impact the sales of PETRONAS as the oil prices may crash as a result of oversupply. 2. Oil Prices reduced due to US oversupply: Crude oil prices remained below the highs due to supply from theUS increased by 3.9 million barrels to 422.4 million as of February 2018 by data from American Petroleum Institute. Citi forecasted that oil supply will be balanced or cause a market surplus of 0.2 million bpd in 2018. This can affect the profit margin of PETRONAS as the oil prices will keep declining as global oil supply increases. .
3. Impact of global economic growth on PETRONAS: Due to geopolitical uncertainties and greater commitment by countries like India and China in renewable, business confidence will be affected. As the US is producing more shale oil, oil prices will decline due to oversupply. But as prices improve, more projects will be sanctioned. But due to the uncertainty of oil demand, the companies remain cautious not to venture into high-cost frontiers. Due to increased production of LNG by USA and Australia, demand can be expected to grow. Edra Global Energy Bhd Power producer 2015 Acquisition Petronas' acquisition of gas-related assets in Azerbaijan is the second largest merger and acquisition (M&A) deal in Malaysia in 2015. The total cost of the transaction was $2.3 billion. Petronas closed the transaction which involved the transfer of Statoil's 15.5 percent participating interest in the Shah Deniz production sharing agreement, 15.5 percent share in the South Caucasus Pipeline Company (SCPC), and 12.4 percent share in the Azerbaijan Gas Supply Company (AGSC). Petronas case study which gives us insights related to its business model and the how it handles its competition. A brief history about PETRONAS company profile, ownership, key business segments, earnings and revenue and organizational structure. External analysis of PETRONAS depicting its opportunities and threats. Internal analysis giving insight of the strengths and weakness pertaining to PETRONAS. Gain a good understanding related to the key influencers such as political, environmental, legal and technological factors affecting the Malaysian oil and gas industry. Knowledge pertaining to PETRONAS corporate structure and marketing structure. A peek into the company’s acquisition, mergers, alliances, joint ventures and collaborations. The current trends combing the oil and gas industry in Malaysia and Petronas in particular. 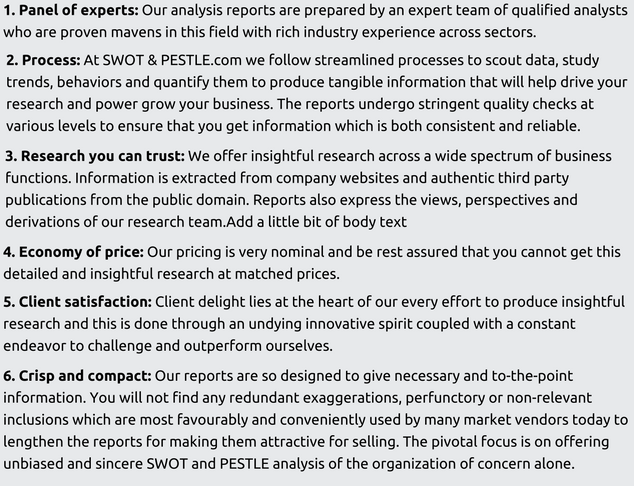 PETRONAS SWOT and PESTLE analysis has been conducted by Subhadeep Chakraborty and reviewed by senior analysts from Barakaat Consulting. 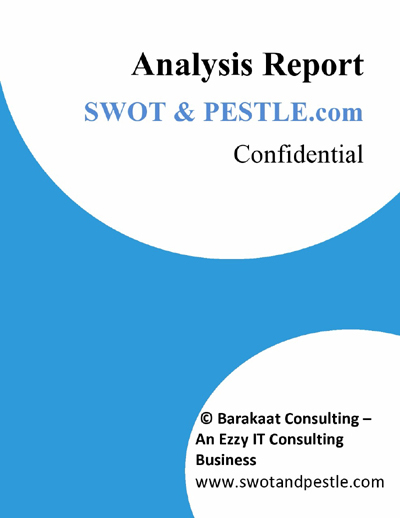 Copyright of PETRONAS SWOT and PESTLE Analysis is the property of Barakaat Consulting. Please refer to the Terms and Conditions and Disclaimer for usage guidelines.